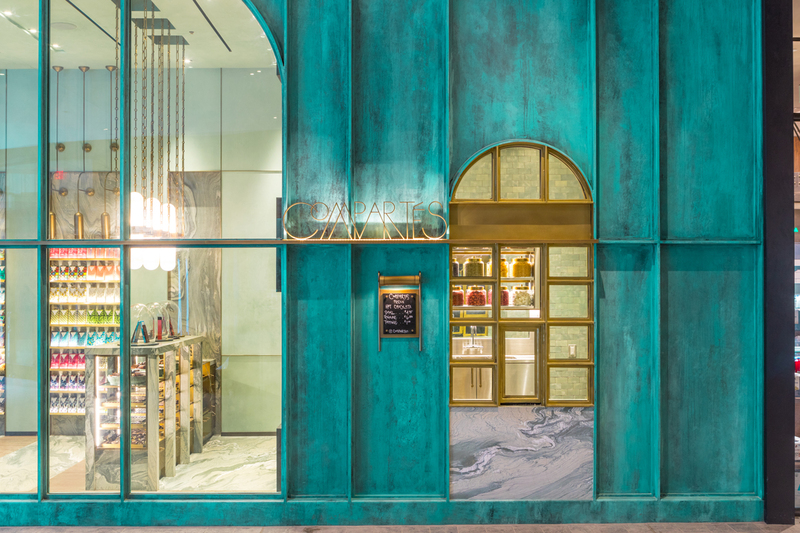 Compartés Chocolatier - Kurt Krueger Architects, Inc. 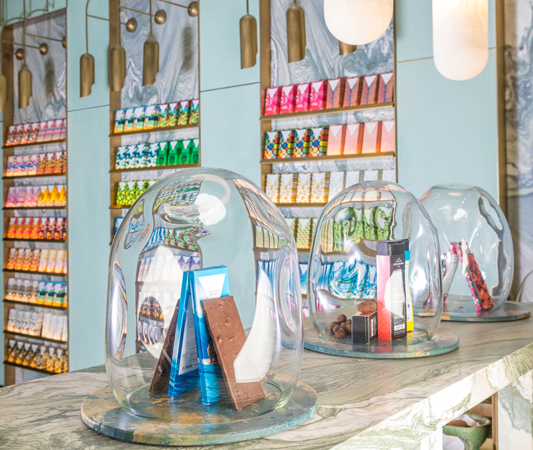 Famous Chocolatier, Compartés, builds their latest store in Los Angeles. 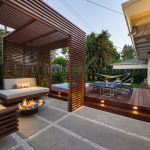 Designed by Kelly Wearstler and Compartés owner Jonathan Grahm, built by Kurt Krueger Architects. 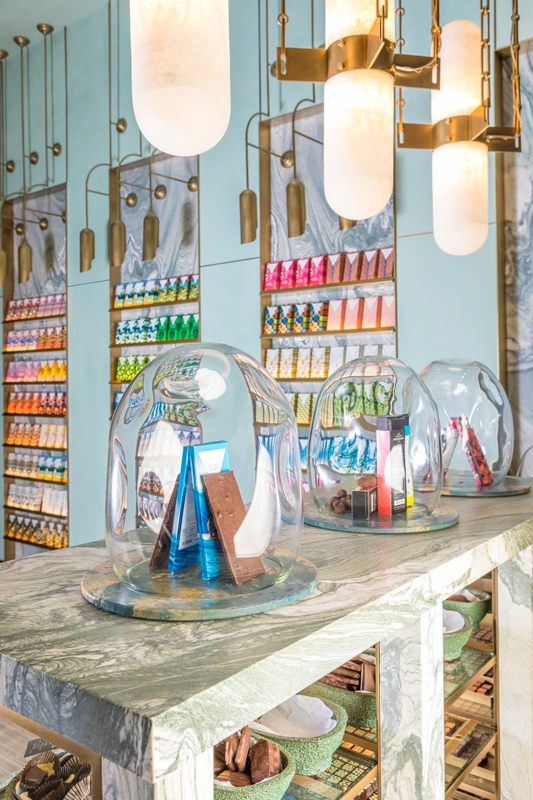 Inspired by the Compartes’ mantra of ‘Chocolate is Art,’ we were driven to create a space worthy of such art. 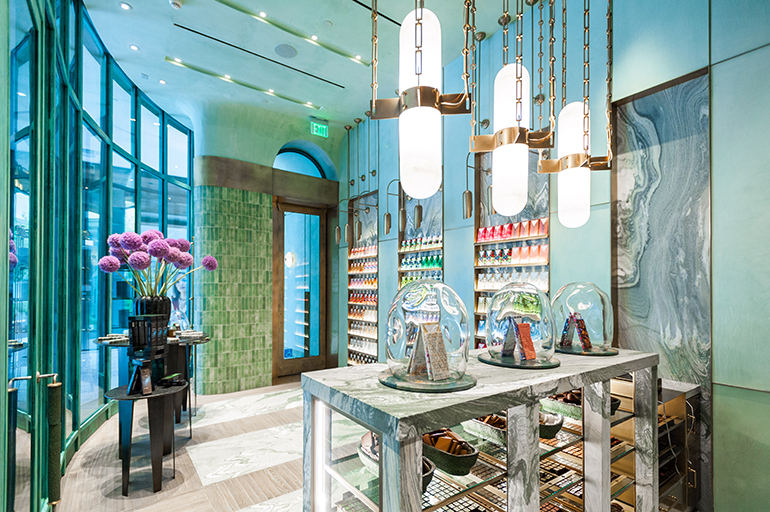 In collaboration with Kelly Wearstler, the design was inspired by chocolate shops of the early 20th century as seen through a California lens. 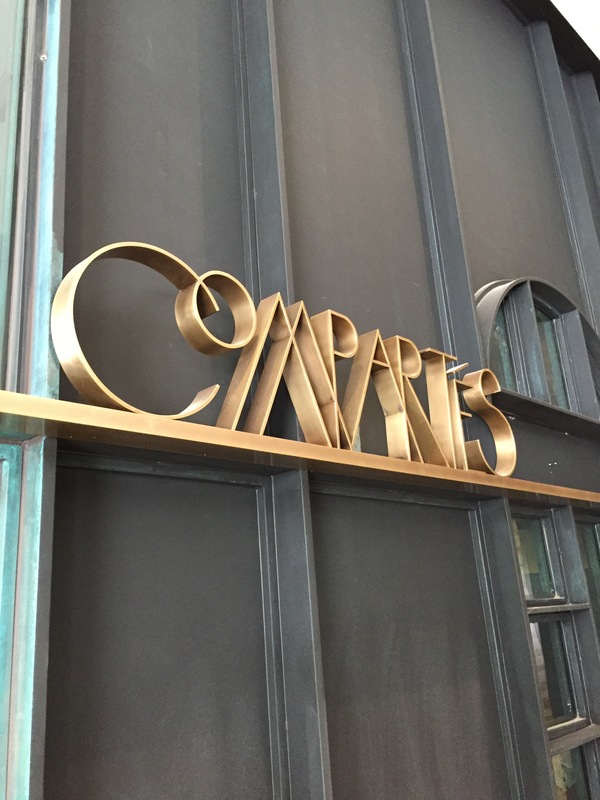 The materials include patinaed copper, honed and tumbled marble, brass, glass, onyx, ebonized wood, and hand troweled plaster. 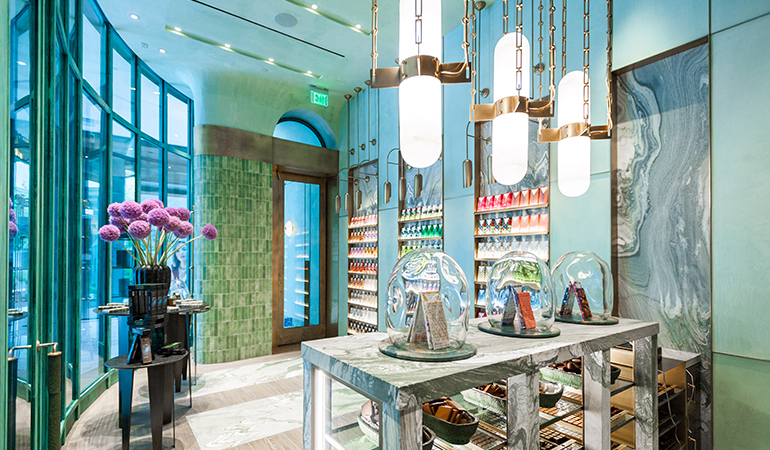 A dusky emerald color was utilized throughout the store to unify the entire design. Unique elements beautifully showcase and serve the chocolate. Every element of this boutique, 430 square foot space was custom crafted. Made locally in Los Angeles, ceramic bowls were created by artist Morgan Peck. Hand-blown glass domes were crafted by New York artist Anna Karlin. Behind the counter, an ebonized wire-brushed wood wall was carefully designed in geometric patterns–inspired by the artist Louise Nevelson. 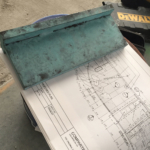 The wall incorporates a hidden door that leads to the Kitchen area where the finishing touches are made to the handmade, gourmet chocolates and the frozen hot chocolate drinks are mixed and continuously flow from custom brass faucets. 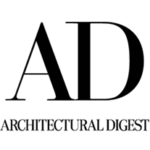 Read more about this project in our News & Blog.